GARDAÍ HAVE APPEALED for witnesses to a shooting in Sallynoggin, Dublin today in which a 45-year-old man was injured. They are particularly looking to hear from any taxi drivers who may have picked up a man at around 1am in the area. The shooting happened at 12.50am this morning, with a man in his mid 30s firing shots in the Sally Noggin Inn pub and then again in the car park. The 45-year-old man injured in the shooting was taken to hospital with non-life threatening injuries. This evening, gardaí said they wish to speak with any taxi driver who may have picked up a lone male on the Sallynoggin Road at approximately 1am and drove in the direction of Rochestown Avenue. Anyone with information about this can contact Dun Laoghaire Garda Station on 01 6665000. the Garda Confidential Line on 1800 666 111 or any garda station. 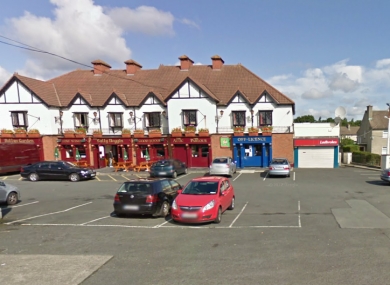 Email “Gardaí looking to speak to taxi driver over Dublin pub shooting”. Feedback on “Gardaí looking to speak to taxi driver over Dublin pub shooting”.